The second entry in the Pocketwatch Games back-catalog, Venture Arctic is an “Interactive Nature Documentary”. Caribou and Wolves roam the tundra while Polar Bears and Orcas patrol the icy seas. The player must harness the forces of sun, snow, and wind to create balance in these fragile ecosystems. Curious what Pocketwatch is making next? Come see an early development stream of our top-down Action RPG. 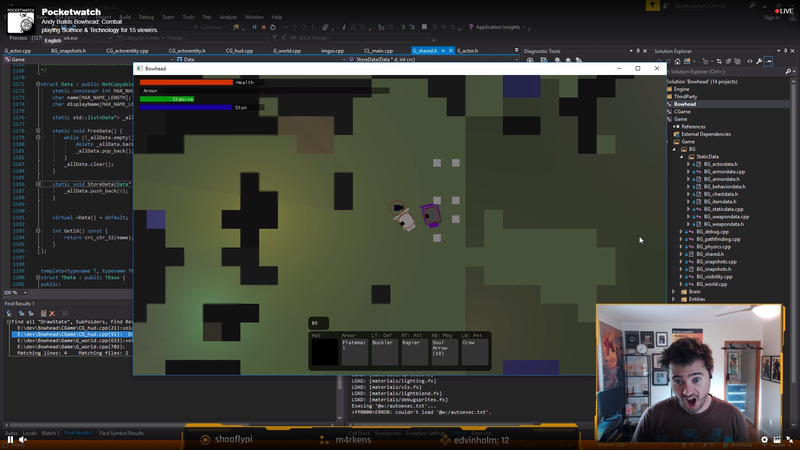 Andy Schatz, creator of Monaco and Tooth and Tail, is streaming development of Pocketwatch's next game over on the Pocketwatch Twitch channel. Code-named Bowhead, it's a top-down open world Action RPG with some Monaco-esque visibility and stealth. Don't forget to follow the Pocketwatch Creator page here on Steam, our Twitter, and the Twitch channel or join our very active Discord channel for updates. Venture Arctic is an ecosystem simulator with a twist: the player is rewarded for both life and death. For every animal that passes on, the player collects a “spirit”, which they can then use to bring change to the environment. Players might spend this spirit to create winds, blowing the smells of a beached whale to a starving wolverine, or they might blanket the tundra in snow and ice to weed out the weak musk ox from the strong. While the controls are simple, the systems are complex: players must understand the mating behaviors of the caribou, the feeding patterns of Arctic cod, and the social structures of Arctic wolves in order to succeed. Most of all, players will learn that an ecosystem’s survival depends upon seasons of plenty and of hardship, of life and of death.